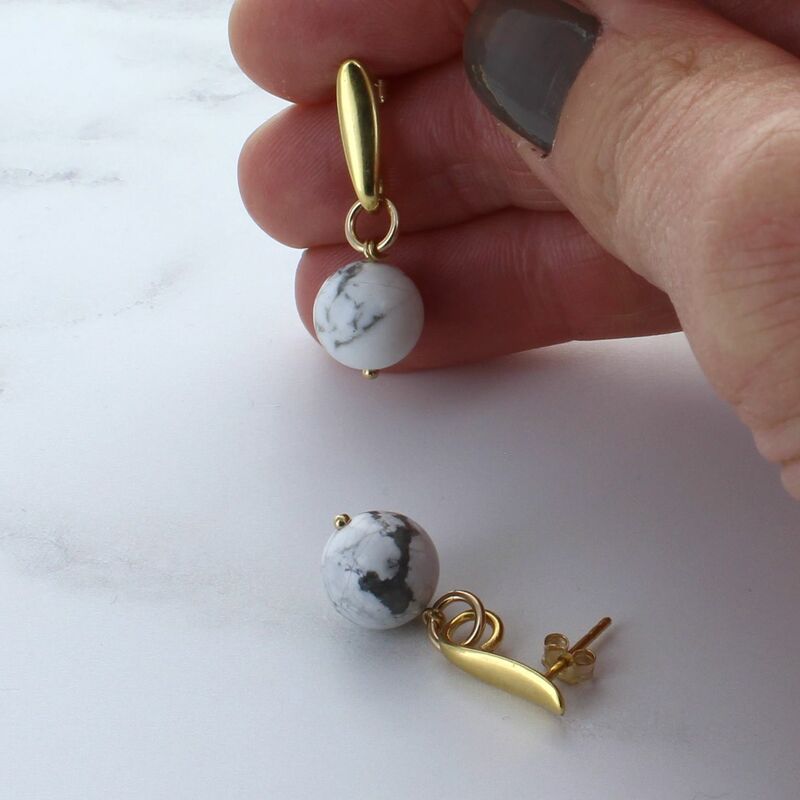 An eye catching pair of White Howliite stones hanging from a sterling silver gold plated tear drop shped stud. 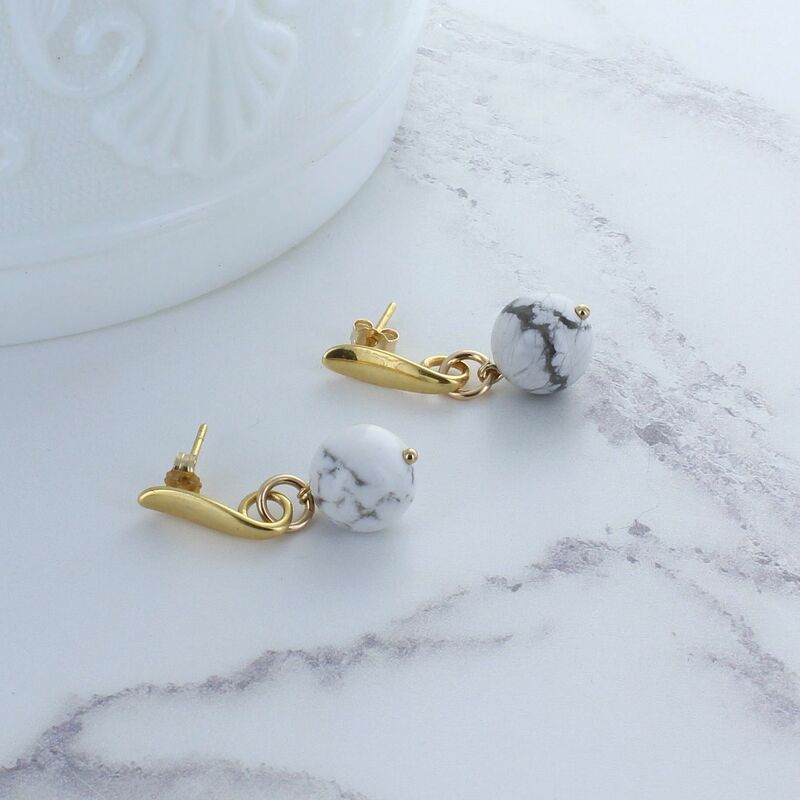 The beautiful sterling silver Howlite drop earrings are a great accessory for any outfit to any occasion. They would make a great birthday gift for your best friend, a thank you to your bridesmaids on your special day or simply a gift for you! 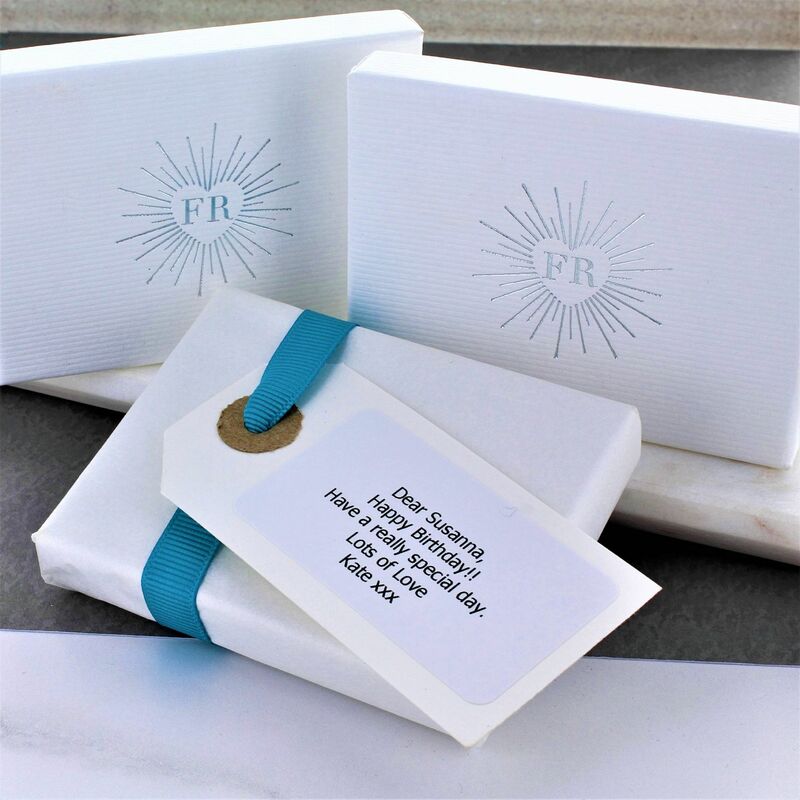 Each pair of earrings arrives in a striking gift box with a free gift wrapping service available upon request.